Welcome to the Notting Hill community; nestled in Lake Mary, in highly desirable Seminole County. Notting Hill is a unique condominium development. One area of the community is gated with an electric gate. The gated side of the community features some units that offer a 2 car garage, and units that overlook a man-made lake. The community has an inviting clubhouse with a 24-hour work-out facility and community room with a kitchen. 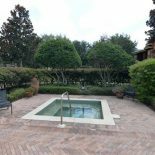 There are two resort-style swimming pools, spas, tennis court, and a playground. The community is conveniently located just south of Heathrow, close to shopping and restaurants. Some stores and restaurants, such as Panera Bread are within walking distance of Notting Hill. The Seminole County School District is a nationally recognized top-rated school district. This condominium is in the school zone of Heathrow Elementary, Markham Woods Middle, and Lake Mary High. For the outdoor enthusiast, The Seminole Wekiva Trail is the perfect outlet. The trail is comprised of 14 accommodating paved miles. It has been named as one of Seminole County’s Showcase Trails, because of its beauty and ease of use. The section of the trail near the Wikeva river is included as part of the Flordia National Scenic Trail. Along the trail, visitors will find many amenities such as restrooms, water fountains, picnic tables, playgrounds, meeting spaces, pavilions, and trailer parking. Lake Mary is a highly sought after, economically booming city with plenty of opportunities for business ventures. The city is home to corporate offices, such as Verizon, AT&T, Cingular, and many more. AAA headquarters are located in Heathrow. Lake Mary is not only home to convenient shopping, dining, and entertainment but is a mere 20 miles north of Orlando and it’s national attractions. Come see for yourself what makes Lake Mary a highly sought after city! Expect to be impressed when walking into this totally updated and tastefully decorated ground floor unit with a 2 car garage in the gated section of the desirable Notting Hill community within the great Lake Mary school district. You are welcomed by this open great room concept with rich wood flooring and crown molding. The delightful eat-in-kitchen features new cabinets, granite counter tops, trendy backsplash and newer stainless steel appliances. The luxurious master retreat features rich wood flooring, granite countertops, double vanities and spacious walk-in closet. The laundry room is conveniently located inside with newer washer and dryer. New upgraded light fixtures, new paint, and new baseboards throughout. Call for your private showing of this gorgeous condo and enjoy carefree living with rich amenities including clubhouse, community pools, fitness center, tennis and a very convenient location to upscale shopping and great restaurants, close to major highways leading to romantic beaches and world-famous attractions. 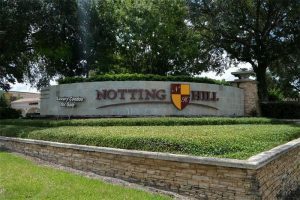 Check out this Condo in the Notting Hill Community in Lake Mary FL, near Heathrow. Notting Hill features 2 pools, clubhouse, community kitchen, and convenience to shops and dining in Heathrow. 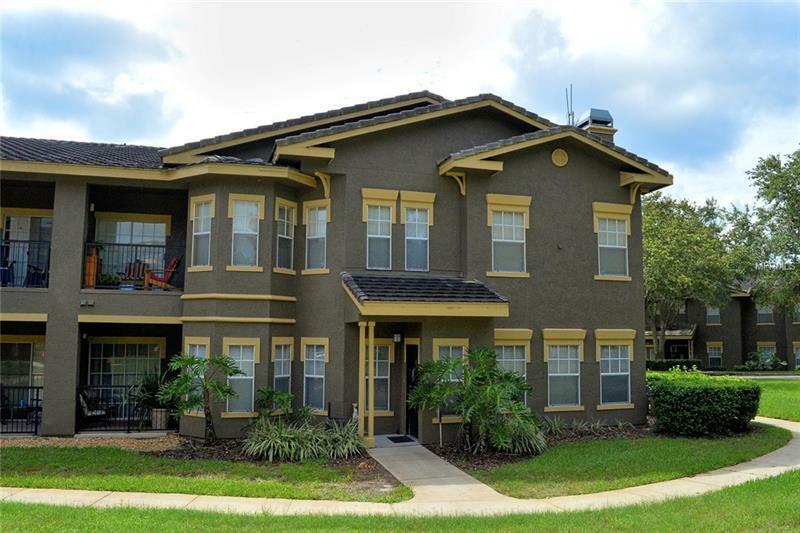 Located in luxurious Lake Mary and only 20 miles north of Orlando, make this condo the perfect location! Call Gitta Sells & Associates today!